Monday with Families: we take to you around the trail area of Cala Violina to reach one of most famous beach of the coast. 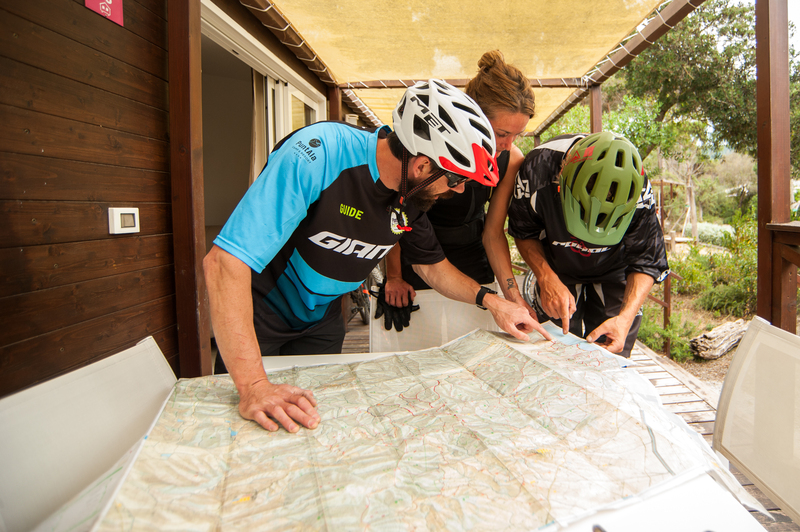 The guide will also teach you how to control your MTB safely. Happy conclusion: take a swim in the clear water of Cala Violina! Tuesday for advanced riders: it’s a tough ride uphill and downhill to Monte di Muro and Cala Violina trails … what about with an E-Bike?! 30 km cycling and 800-mt elevation gain, with an E-bike great fun and less stress! 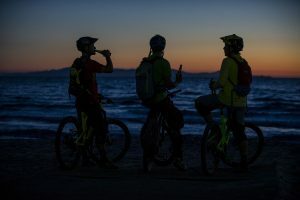 Wednesday for endless riding: a looping tour around Tirli – Castiglione della Pescaia – Caldana and back. Recommended to long distant riders. The tour is about 50 km cycling and 1000 mt elevation gain. Any program for the afternoon ride? What about a Gravel Bike Tour and Wine & Food tasting at the Pierotta winery. 35 km cycling and 300 mt elevation gain. Do you prefer drinking a good glass of wine rather than pedaling? Rent an E-Bike and enjoy it. Thursday and E-Xtreme tour: E-Bike is made for uphill ride. Take yours or rent one, Full Power and Go! Great fun no stress, you won’t’ miss our uplift services! Tnx God it’s Friday: Let’s now relax and ride the flow Massa Marittima trails for an easy tour. A new destination by bike.